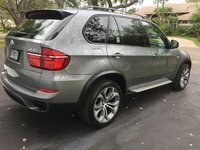 CarGurus has 378 nationwide LR2 listings starting at $3,699. The Land Rover LR2 is the perfect vehicle to tame the urban jungle. Land Rover, known for building vehicles for treacherous off-road terrain, changes gears to offer the consumer a more budget-friendly compact SUV, designed for a trip to the mall rather than the Outback. The LR2 is offered in a single Base trim for 2012, with two optional packages, the HSE and the HSE LUX, both of which aim to make the LR2 more capable off-road. The Base LR2 features cruise control, with the controls conveniently located with the audio-control cluster on the steering wheel. You and your passengers can enjoy the comfort of automatic dual-zone climate control and a panoramic sunroof. 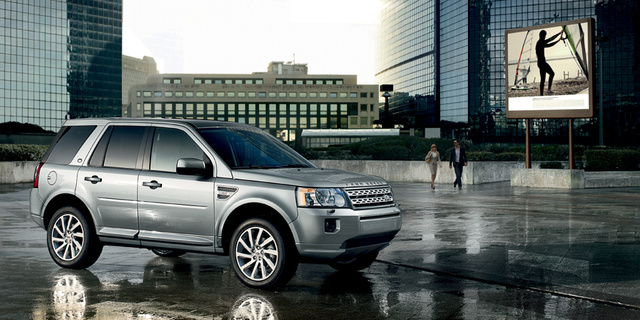 The LR2 comes standard with 18-inch sparkle-finish alloy wheels. For a sportier look you can choose the optional 19-inch, 10-spoke sparkle-finish alloy wheels. Whether you are using the LR2 for business or pleasure, the DVD satellite navigation and Bluetooth connectivity will keep you on the right path and able to communicate safely. Although the interior leans more toward functionality than luxury, it still provides all the creature comforts expected from a Land Rover. The HSE package, in addition to the standard equipment of the base LR2, provides a bit more luxury as well as off-road capability. The most prominent upgrade is the interior, which offers you a choice of leather seat facings in Ebony, Almond or Storm Grey. It is also standardly equipped with a 6-way driver's and 4-way passenger electric seat adjustment with memory settings for both the seats and mirrors. Also included in the upgraded HSE is an Alpine 320-watt audio system with a single-CD player, 9 speakers with HD Radio, Sirius Satellite Radio and Bluetooth connectivity. The HSE LUX is the most luxurious package available for the LR2 line. The HSE LUX has all the features of the HSE, but with the highest level of luxury available. Cabin upgrades include an 8-way driver's and 6-way passenger electric seat adjustment with memory setting for the seats and the mirrors along with premium front and rear carpet mats. All packages come standard with a 3.2-liter, 230-hp, inline 6-cylinder engine. The LR2's 0-60 time of 8.4 seconds may not make the Land Rover feel like a sports car, but the comfort, luxury and ride make up for it. Standard is a 6-speed automatic transmission with Commandshift, giving the driver the feel of a sports car while still driving a luxury SUV. There is also a standard sport mode available in all packages that allows for a more adventurous ride and feel. Mileage is not a high point for the LR2, with an EPA-estimated 15 mpg city/22 highway. All packages feature an independent 4-wheel suspension for a comfortable ride no matter the surface. Land Rover’s long wheel travel adds to the LR2's off-road capability. Its positive steering and nimble turning radius allow for superior maneuverability in tight places. It also features a 3,500-pound towing capacity. While the Base LR2 is more of an all-weather vehicle, the HSE and HSE LUX packages are equipped with a multimode Terrain Response AWD (all-wheel-drive) system. This system works to optimize engine power, transmission gearing, differential engagement, throttle response and traction control. It allows the driver to choose from 4 modes for different road conditions: General, Grass/Gravel/Snow, Mud/Ruts and Sand. These selections give the driver fingertip control of how their vehicle will respond to any terrain they want to master. Land Rover excels in vehicle safety. All packages have electronic brakeforce distribution for control during quick stops. In addition, electronic traction control allows you to maintain control of the vehicle on any surface and in any weather conditions. In the unfortunate event of an accident, there are driver's and front passenger airbags, front seat side airbags, a full-length curtain airbag and a driver side knee airbag. Along with all of this, the LR2 features Rollover Stability Control to keep you on the road and safe. Owners give the LR2 high marks for being a comfortable yet fun-to-drive vehicle. They give it high marks for interior room and handling as well as the classic look that people stop to compliment. What's your take on the 2012 Land Rover LR2? Have you driven a 2012 Land Rover LR2? Looking at buying Land Rover LR2 with 5,432 miles that was used as the dealerships loner vehicle. Should I buy an extended warranty?